First-generation Lexus LS pictured here. Lexus is the luxury arm of the Japanese auto behemoth Toyota. The LS first saw development in 1983 as a secret flagship project to offer a premium sedan to international markets, and Toyota essentially gave the project leads carte blanche in terms of funding and time limits. As such, it should be no surprise that the first LS took more than five years to design, and reportedly cost Toyota more a billion dollars U.S. The first-generation LS was introduced in January of 1989 at the Detroit Auto Show. Labeled the LS 400, this model essentially created the Lexus brand we know today. Specifically made for international markets, and in particular the U.S., all that time and money Toyota spent in development was well worth it, as the model sold quite well. The LS 400 essentially created the Lexus brand we know today. But it wasn’t just a win for Toyota – the LS was an important model for all Japanese car makers, as it was the first truly successful entry by a Japanese brand into a segment where the Europeans and Americans traditionally were the big sellers. 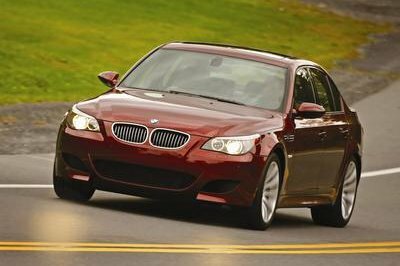 A few standout features of these previous iterations include V-8 engines mated with RWD, optional AWD, hybrid powerplants, and long wheelbase underpinnings. It was the first truly successful entry by a Japanese brand into a segment where the Europeans and Americans traditionally were the big sellers. In November of 1994, Lexus introduced a new second generation of the LS 400. 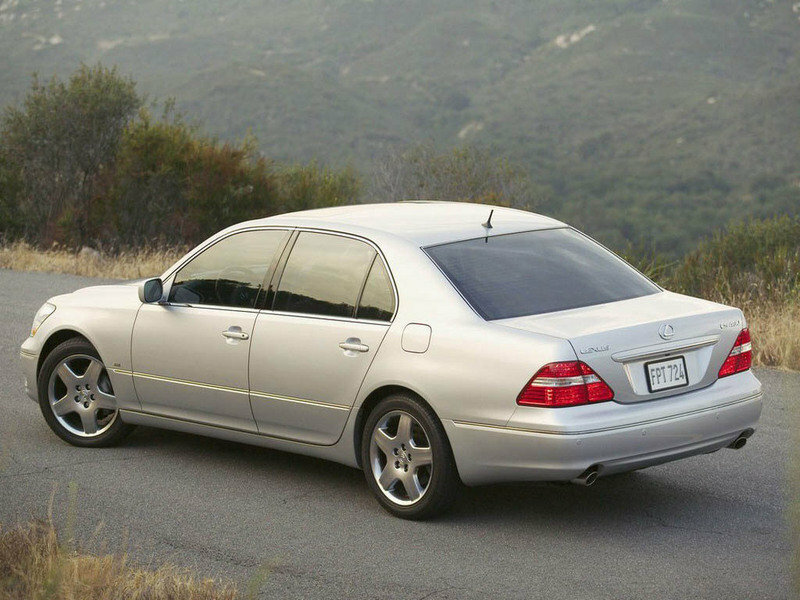 In January of 2000, the third-gen arrived, taking the name LS 430. In 2006, Lexus launched the fourth-gen called the LS 460 and LS 460 L, as well as a hybrid model called the LS 600h L that paired a 5.0-liter V-8 with two electric motors. Up until this time, the LS was sold in Japan as the Toyota Celsior, but in 2006, Toyota decided to introduce the domestic market to the Lexus brand, and with it, the fourth-gen LS 460. Equipment included an eight-speed automatic transmission and an automatic parking system. The LS was used to introduce a huge variety of automotive technology, the kind of stuff you see everywhere today. 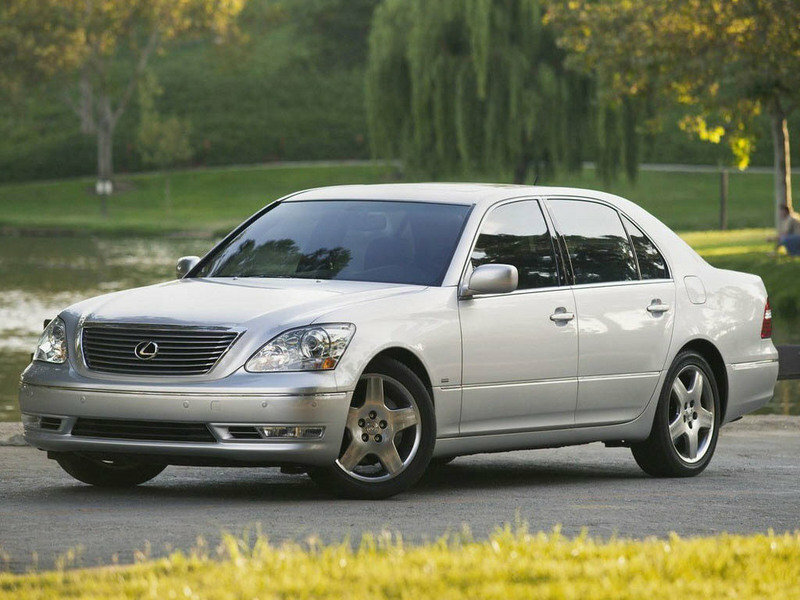 Over the years, the LS was used as a platform for introducing a bevy of forward-thinking features and technology. Just a few examples include passive air suspension and an integrated cell phone with hands-free capability in the first-gen model, the world’s first GPS navigation with voice directions in the refreshed first gen, one of the world’s first in-dash CD players in the second gen, Toyota’s first laser adaptive cruise control in the refreshed second gen, and the first Lexus with HID headlights in the refreshed third-gen.
Now, the LS enters its fifth-generation with the new LS 500. 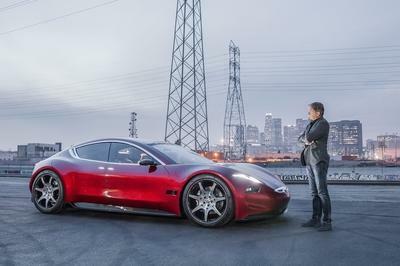 The model was first previewed at the 2015 Tokyo Motor Show with the LF-LC, and was officially introduced for the 2018 model year at the 2017 Detroit Auto Show. 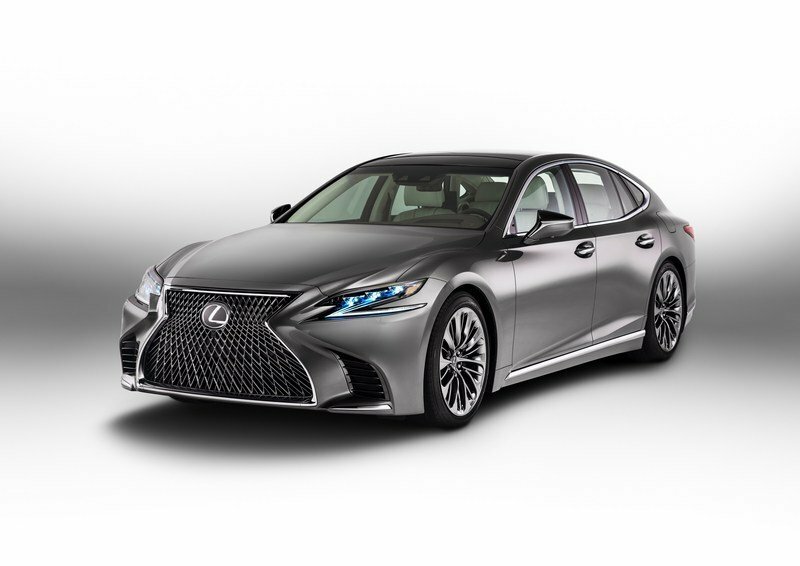 As previously stated, the new fifth-gen Lexus LS is a hugely important model for the brand, even down to the way it looks. The idea behind the model’s shape is a mating of sporty- coupe-like proportions in the profile, with the comfort and usability of a traditional three-box sedan. The hourglass-shaped grille offers an intricate insert composed of a diamond mesh that seems to stretch and bend with the curves of the front end. The headlights are equally striking, with a Z-shape underlined by LED daytime running lights and a trio of lamps above. 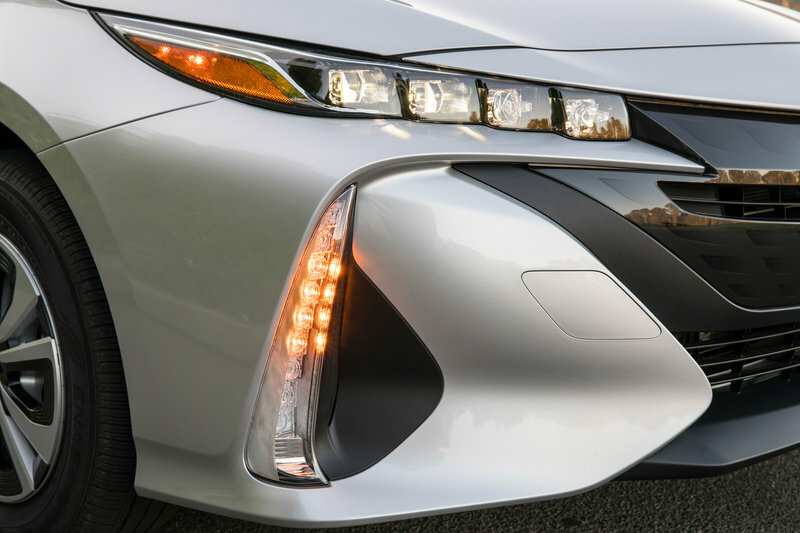 While certainly unique in its own right, I can’t help but be reminded of the headlights used in the new Prius Prime, as seen below. 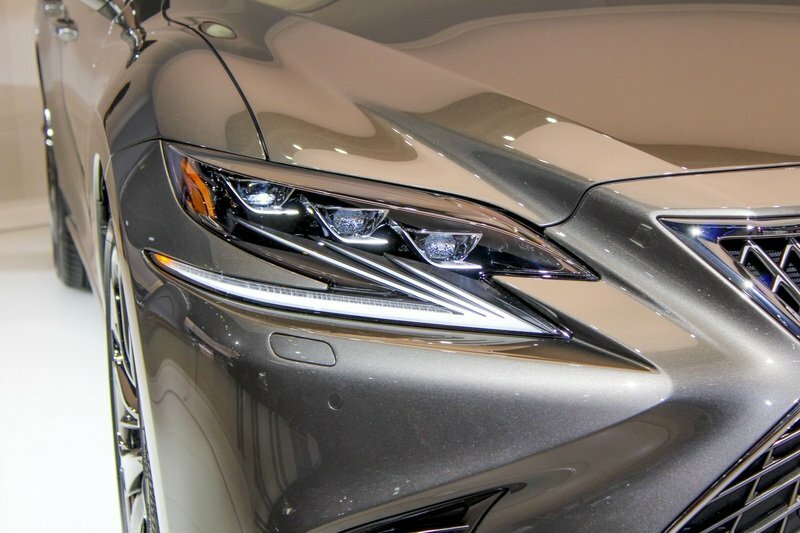 Lexus LS 500 headlights pictured on the left, Toyota Prius Prime headlights pictured on the right. As we move towards the sides, the car’s muscularity starts to find extra definition. The cab-back design gives the snout a prominent look with edgy character lines. The whole thing looks poised and taut, with a little visual rake added thanks to curves in the lower sections of the doors, offset by straight chrome trim in the window line and side skirts. The fenders are meaty and flared, encapsulating the enormous polished wheels with little to no fender gap. The door handles are large and chunky. You’ll also notice no less than four individual windows in the profile, with the glass sitting flush with the black pillars – a first for the brand. The fenders are meaty and flared, encapsulating the enormous polished wheels with little to no fender gap. In back, we find more interesting angles and cuts, although the tail isn’t quite as busy as the front. Part of that is due to the space limit when compared the front fascia. The whole thing looks compressed, with the lower chrome character line rising slightly towards the middle of the trunk, while the coupe-like roofline falls quickly into the trunk lid. The taillights wrap around into the rear fenders in a manner that increases the fender girth, while merging with the trunk lid with a pointed look. The taillights are connected by polished metal, while up top is a straight, flat deck. Twin squared-off tailpipes are in the lower corners. It’s a unique look, that much is for sure, and I wouldn’t be surprised if it draws mix reactions. Some will like it for its sharp boldness, while others will deride it as too busy and angular. Either way, it’s clear Lexus is intent on creating a defining design language, so look for the LS’ styling to trickle down not only into other future Lexus models, but future Toyota models as well. 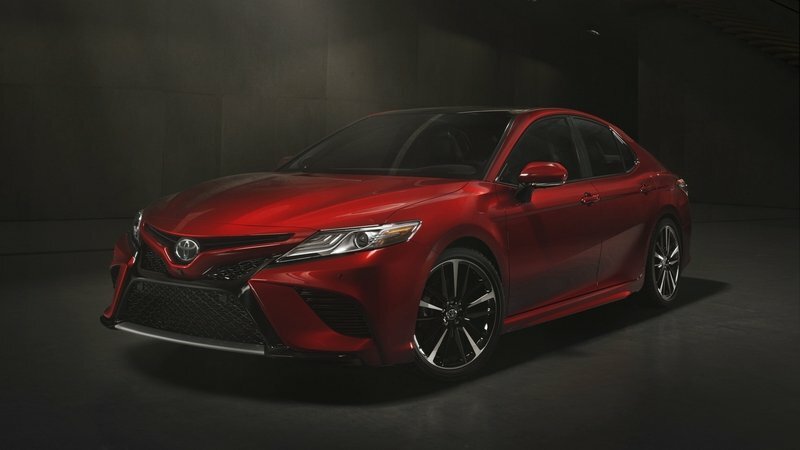 Lexus LS 500 pictured on the left, 2018 Toyota Camry pictured on the right. 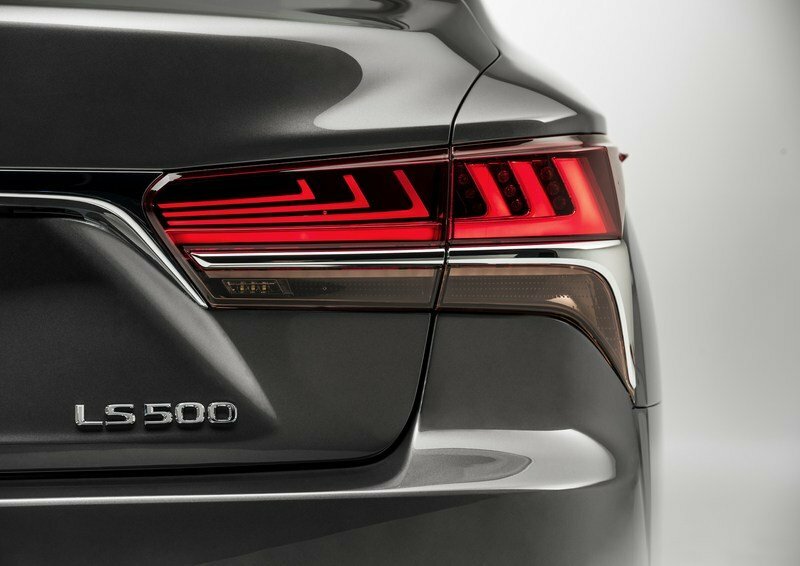 Dimensionally, the new Lexus LS 500 is lower to the ground, longer, and wider than the outgoing LS model. In terms of specs, the body is 0.6 inches lower, the hood is 1.2 inches lower, and the trunk is 1.6 inches lower. It’s a unique look, that much is for sure, and I wouldn’t be surprised if it draws mix reactions. Up top, you’ll find a moonroof with an “outer slide” operation, rather than the usual “roof hideaway” operation. This was done to maximize interior headroom while maintaining the car’s sleek coupe-like roofline. Finally, there are five new wheel designs on the table, including two new 19-inchers and three new 20-inchers. 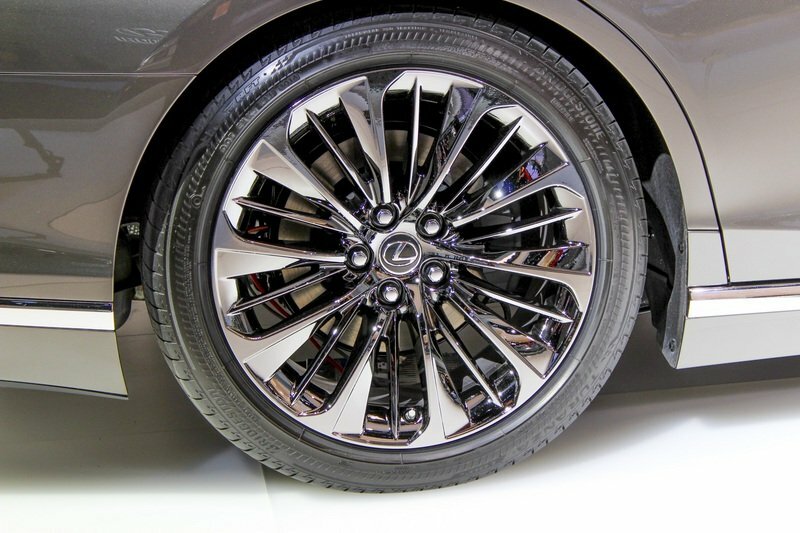 It should also be noted that those 20-inch wheels get an electroplating finishing technique for an enhanced luster. Nearly all of the wheels get a hollow rim structure for a quieter ride. While the first LS was a major milestone for Toyota in the full-size premium sedan segment nearly 30 years ago, the heavyweights these days continue to come from Germany. First up is the Audi A8. 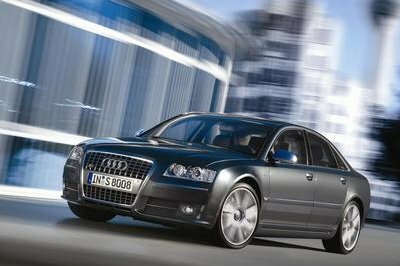 Currently heading towards the end of its third generation (the A8 got a refresh in 2014), this Teutonic titan basically looks like a really big A4. The front end is once again dominated by the Four Ring’s traditional Singleframe grille, divided by large, horizontal polished slats. The headlights are square, and come standard with full LED lighting elements. 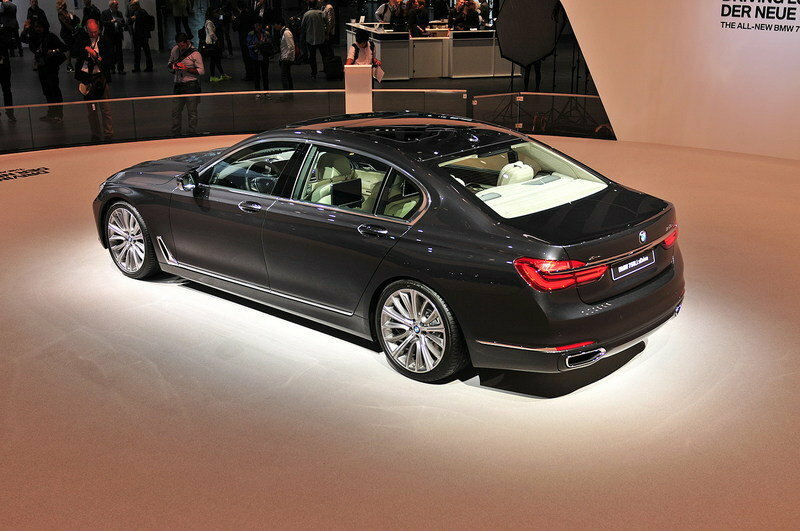 LEDs are also used for the taillights, and there’s a panoramic roof up top. Compared to the new LS 500, the profile is a little closer to a traditional three-box profile. Large wheels up to 20-inches in diameter are in the corners. Get it with the available Black Optic package, and you’ll have the option to equip 21-inch wheels wrapped in summer tires, plus a glossy-black finish for the grille. If I had to choose between these three based on looks alone, I’d probably opt for the Mercedes. 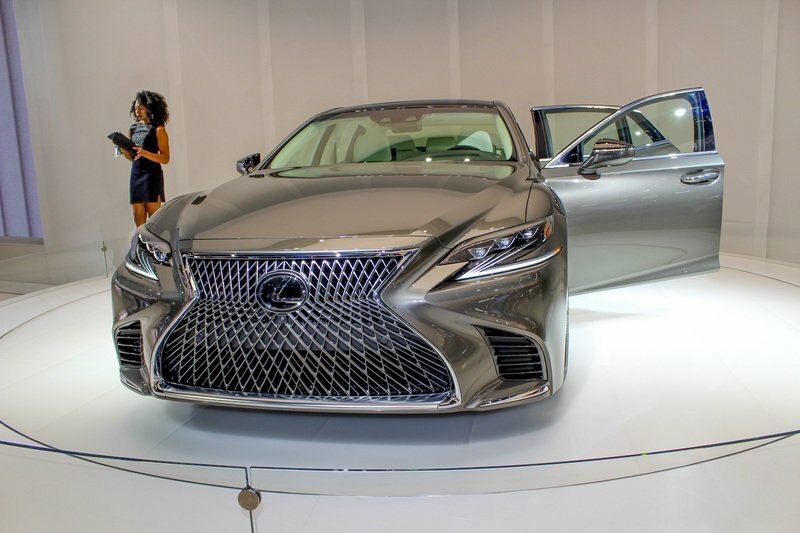 While the Lexus is certainly an eye-grabbing piece of design, it’s just a little too busy for my taste. In terms of aesthetics, the A8 is much more subdued than the LS. While the Lexus was designed to have presence and turn heads, the Audi flies under the radar, only really getting noticed for the sheer size of the thing. 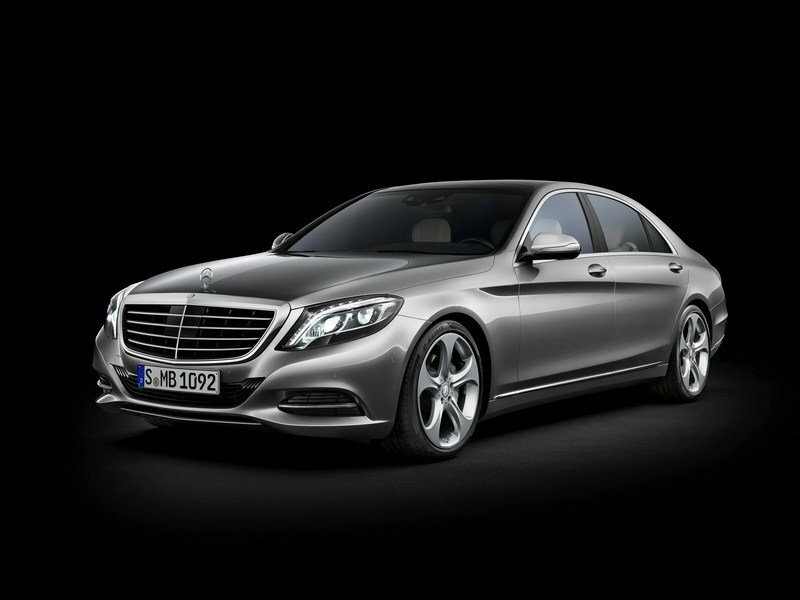 The other Germanic alternative comes from Mercedes-Benz in the form of the S-Class. The frontend is traditional Mercedes fare, offering large, rounded headlight housings, and a grille that’s much more subdued compared to the Audi and Lexus. Chrome elements abound, while standard LEDs are used for the headlights, daytime running lights, and taillights. The profile looks low-slung and sporty, enhanced by upper and lower character lines that move the eye towards the rear fender. Up top is a panoramic roof. 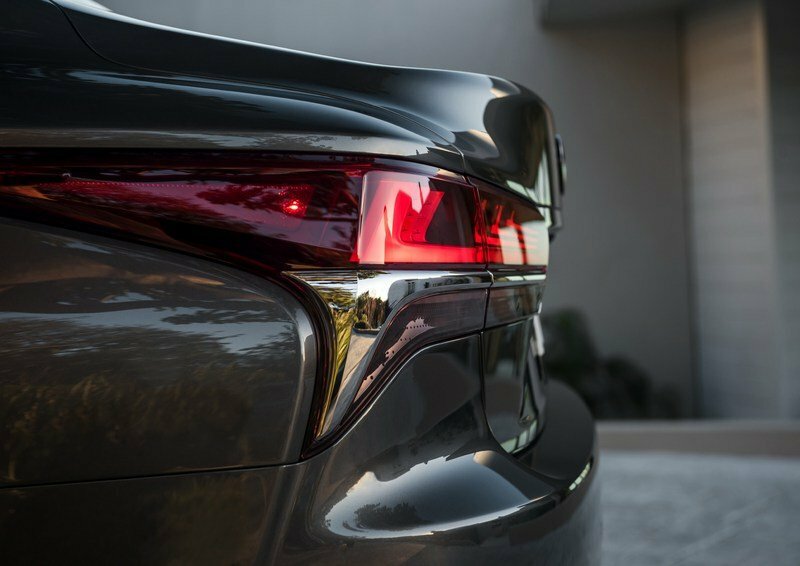 In back, the taillights mimic the shape of the headlights, while the width of the back end is emphasized thanks to a prominent chrome strip on the trunk lid and a lower bumper section that places twin, squared-off exhaust tip in the far corners. Wheels can be had up to 20 inches in diameter. I simply prefer the old-school approach of the Merc. It’s just cool and composed. 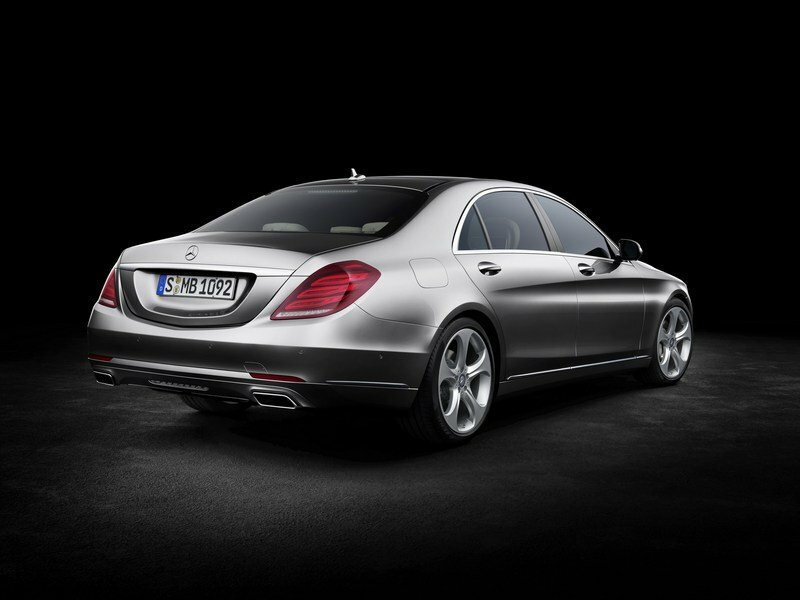 Overall, the Mercedes looks like a conventional luxury sedan. To my eye, it gives a better sense of refinement compared to the Lexus, with its curvier, more circular forms and proportions. Perhaps the biggest difference between the two is in the front end, where the Lexus is all angles, and the Merc is all curves. As far as personal preference goes, if I had to choose between these three based on looks alone, I’d probably opt for the Mercedes. While the Lexus is certainly an eye-grabbing piece of design, it’s just a little too busy for my taste. But it’s not that I necessarily dislike the Lexus, either. To the contrary, I can appreciate the boldness with which the brand is defining its styling direction. But that said, I simply prefer the old-school approach of the Merc. It’s slick without trying too hard, and for my money, that’s what I like best. I like the fact Lexus is making efforts to separate itself from the European status quo by doubling down on the Japanese influences. The result, as you can see, is quite impressive indeed. 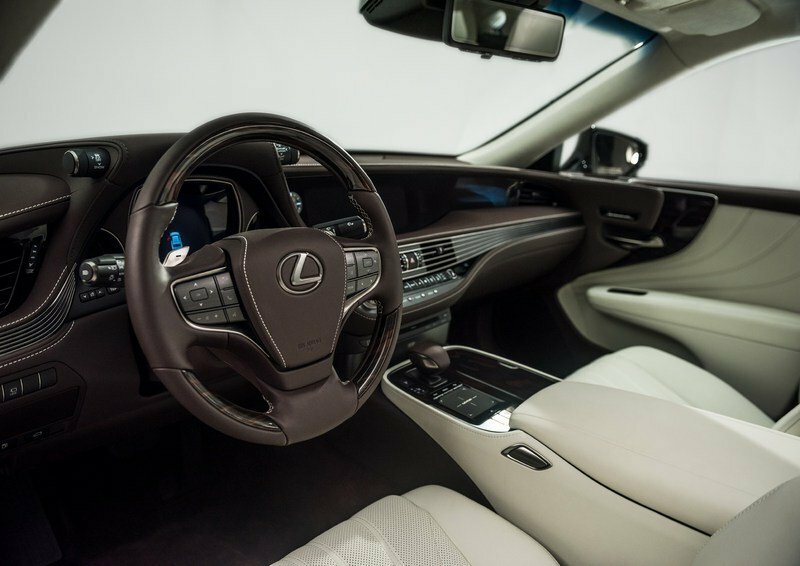 If you’re looking for attractive wood trim, the Lexus LS has it. The interior ambient lighting is also a nod to tradition, lending an atmosphere that’s “inspired by Japanese lanterns.” Meanwhile, the trim in the steering wheel is labeled for its Shimamoku wood patterns, which combines old school woodcutting with modern laser cutting techniques. Buyers can choose between several different trim options, including Art Wood Organic, Art Wood Herringbone, and Gray Sapele Wood with Aluminum. Further options include straight grain and cross grain, with light and dark contrasting hues. One of the most noticeable design elements is a series of long, drawn-out lines that curve and spread out along the contours of the dash. These are repeated in the door inserts, folding themselves along armrests that aim to give a sense of weightlessness and floating. The seat design is also new. One of the most noticeable design elements is a series of long, drawn-out lines that curve and spread out along the contours of the dash. Overall, Lexus included a bevy of organic shapes and curves, and it definitely manages to step away from its more austere German rivals. 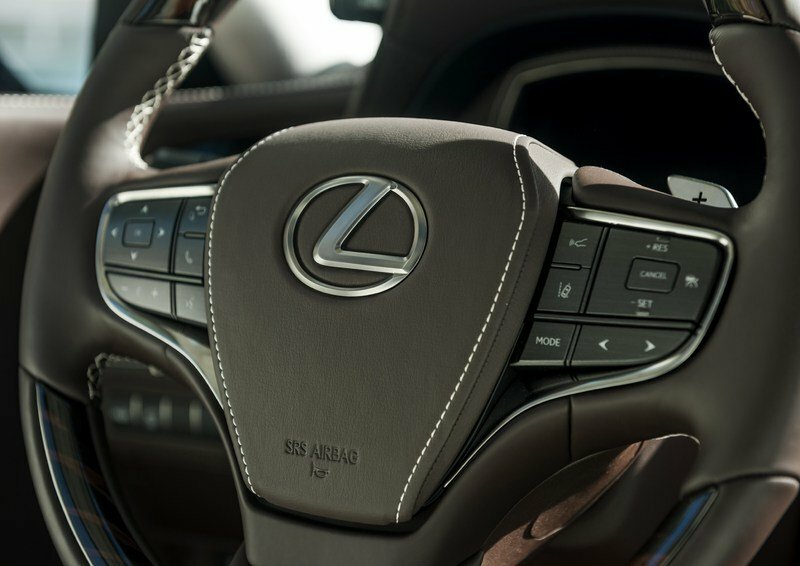 As far as usability is concerned, Lexus made sure to set the gauges and buttons at a uniform height across the dash, which supposedly makes the former easier to read, and the latter easier to operate. 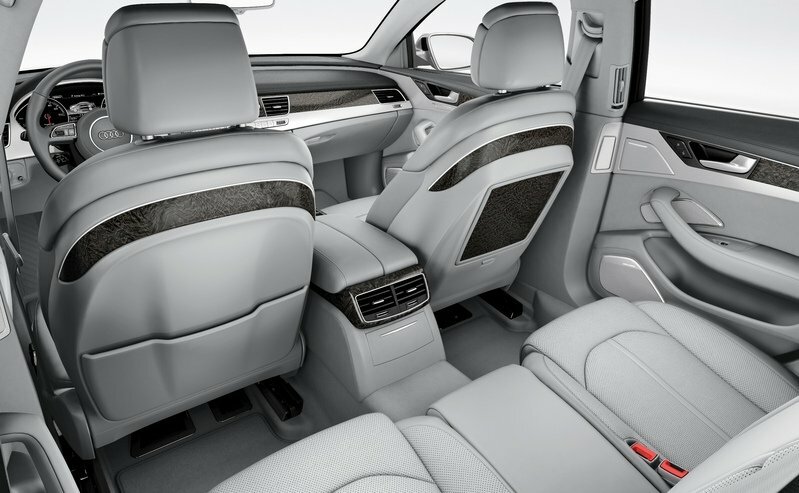 In back, the rear seats mimic the design of those up front for a more refined sense of continuity. 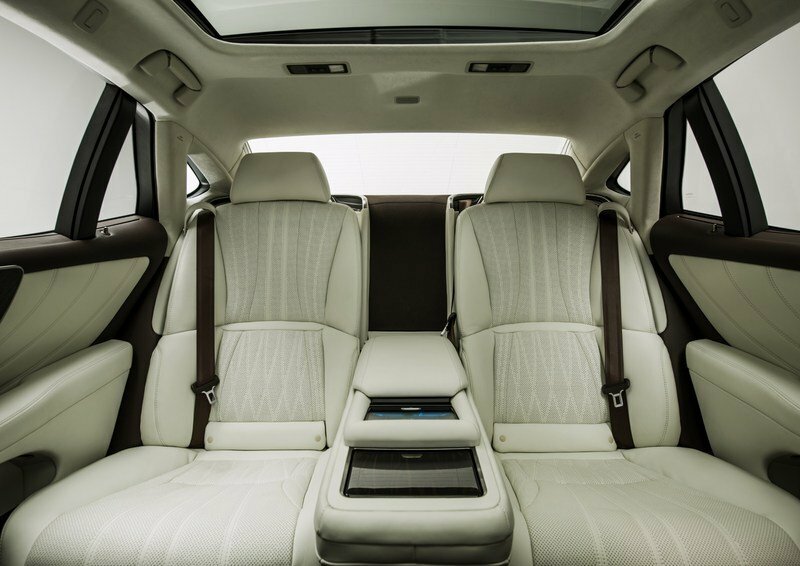 The seats offer an available 28-way power function, plus heating, cooling, and Shiatsu massage. 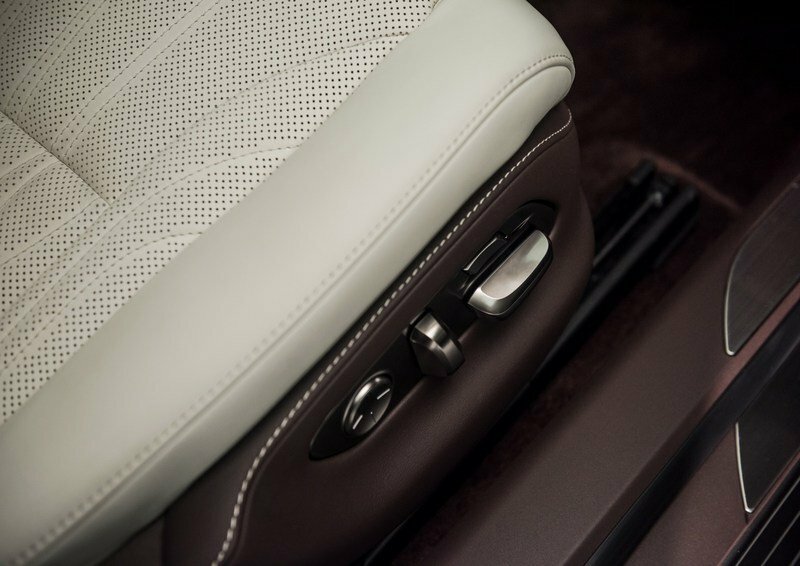 Speaking of seats, the upholstery includes a combination of both quilted and perforated leather. The front is offered with an available 28-way power function, plus heating, cooling, and Shiatsu massage. 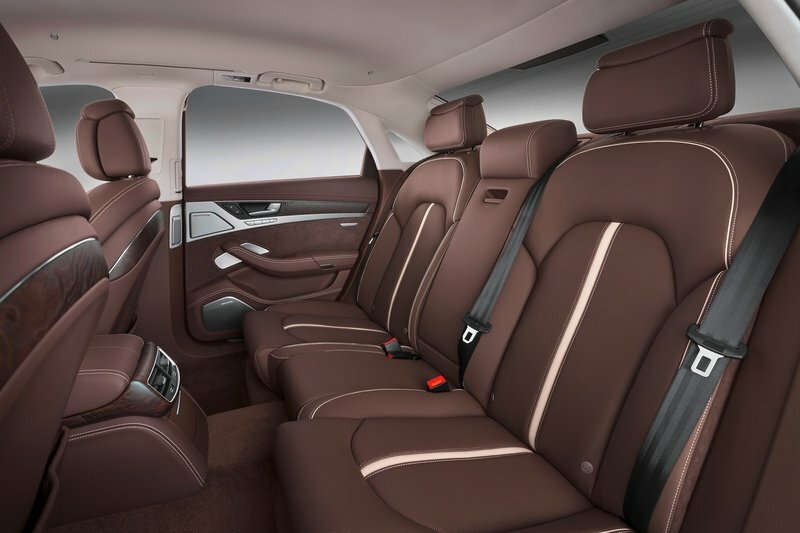 If you opt into the wider rear seat luxury package, the back also gets heating, cooling, and a Shiatsu function, plus a raised ottoman to put your feet up. With this package installed, the new LS 500 offers the most available legroom of any previous LS model, plus the seat behind the front passenger can tilt up to 48 degrees for max relaxation, or be raised 24 degrees for easier ingress and egress. Speaking of getting in and out of this thing, you may have noticed that it’s quite low to the ground. As such, Lexus is offering an available air suspension system with an “access function” that’ll raise the vehicle and open the seat bolsters to make it that much easier to climb in or out. 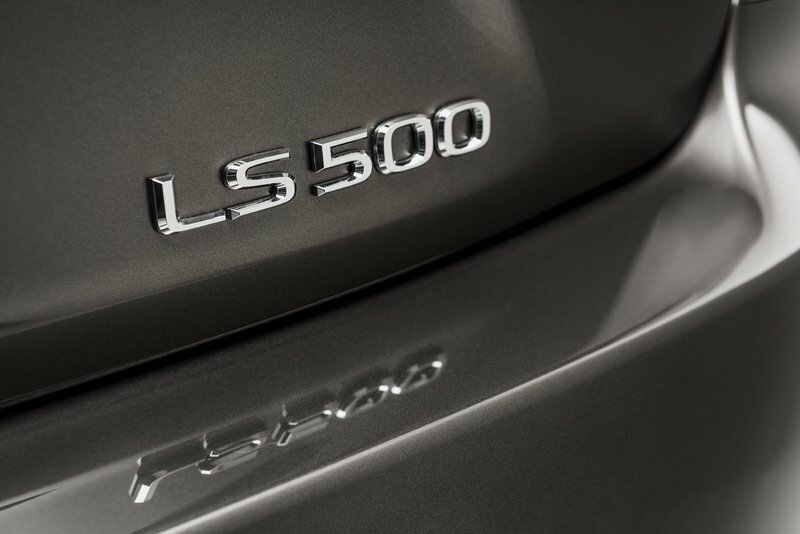 The LS 500 was designed to be like an encapsulating luxury bubble that’s removed from the outside world. Once inside, you should notice just how quiet it. The LS 500 was designed to be like an encapsulating luxury bubble that’s removed from the outside world, and although the exhaust is now tuned with a more “authoritative tone,” none of the sound should bleed into the cabin. If it does, though, you won’t notice it thanks to the new Active Noise Control system. Basically this uses sensors to sample the engine note and counteract it through the emission of an opposite, secondary sound that has the same amplitude as the original sound, but an inverted phase. The net result is basically no noise at all. The optional 24-inch color heads-up display is the largest color heads-up display of any production car in the world. And that’s good, because the LS 500 comes standard with a very nice audio system. If you’re looking for even better playback for your tunes, there’s also an available Mark Levinson 3D stereo package that places speakers in the ceiling for an extra dimension in sound dynamics. This package also includes new graphics for the infotainment interface. Either way, you’ll be looking at smartphone-like operation and control for your infotainment needs. As you can see by the touchpad in the center console, there’s also handwriting support. Providing the visuals is a 12.3-inch navigation display, plus an optional 24-inch color heads-up display, something that Lexus proudly flaunts as the largest color heads-up display of any production car in the world. 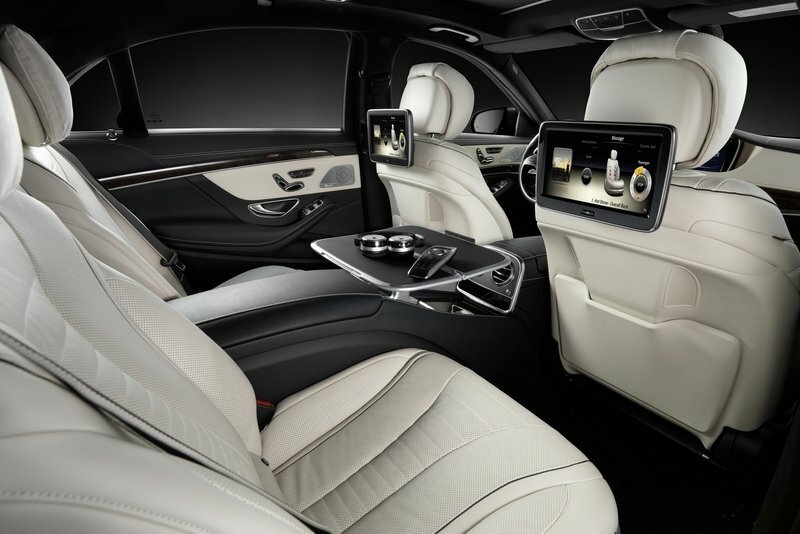 And because this is exactly the sort of machine you’d expect to be chauffeured around in, rear-seated passengers also get twin display screens attached to the backs of the front seats. Let’s start with the Audi, which gets broad, solid surfaces studded with metal surrounds as the pervasive theme, plus lots of wood and leather throughout. The four-spoke multifunction steering wheel is also wrapped in hide, and includes a heating function and shift paddles on the column. 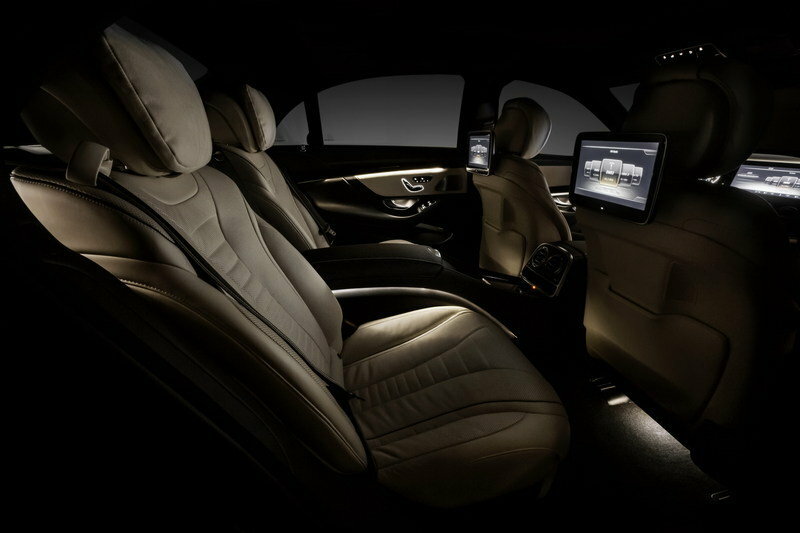 The seats offer four-way power lumbar adjustability, while the leather is finished in a diamond-shaped stitch. Trim comes in standard Dark Brown Walnut Wood, or available Fine Grain Ash Velvet Brown, Fine Grain Ash natural, and Vavona Wood Assam Gray. While the Audi is undoubtedly a premium product, the Lexus has a character and presence that’s missing from the Audi. There’s four-zone climate control split left-to-right and front-to-back, while the Rear Seat Comfort package adds ventilation, power lumbar adjustment, and a massage function for those seated in back. There’s also Active Noise Cancellation as an available option. 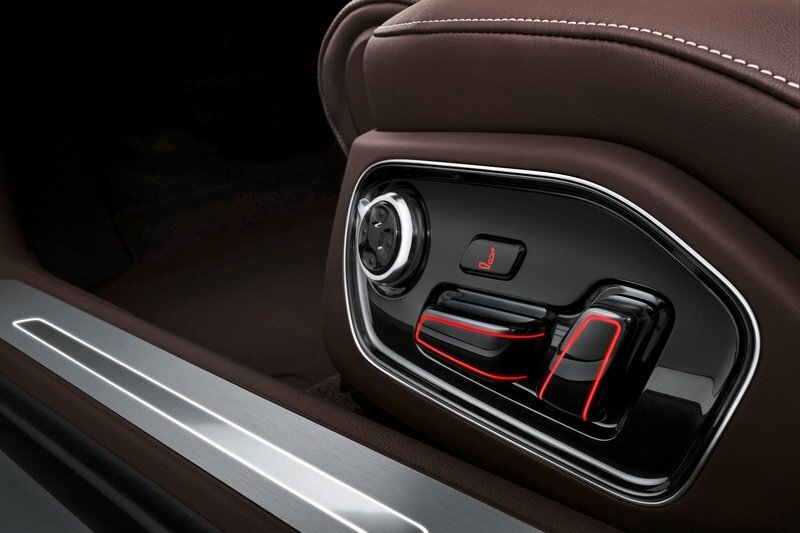 Standard features include MMI navigation and a heads-up display, plus a 14-speaker Bose Sound System. When comparing between the Lexus and Audi, the Four Rings option looks a whole lot tamer in the way it’s laid out. While the Audi is undoubtedly a premium product, the Lexus has a character and presence that’s missing from the Audi. Can the same be said of the Mercedes? Let’s check out the features first. 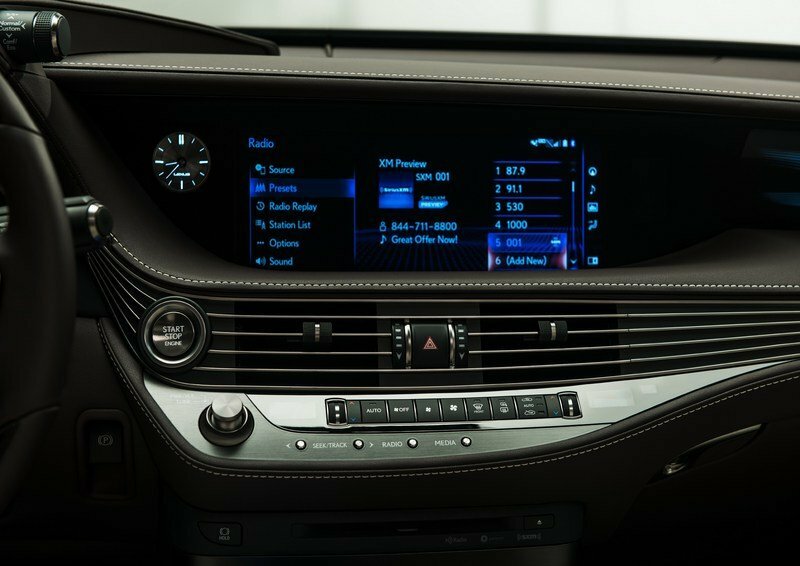 Buy into the “base model” S550, and you’ll get LED interior lighting, double 12.3-inch screens (one for driver info, the other for infotainment), Burl Walnut trim, a very slick-looking two-pronged multifunction steering wheel covered in wood and leather, and several wood trim options, such as Black Poplar, Brown Sunburst Myrtle, Metallized Ash, and Black Piano Lacquer. There’s also a Comand system touchpad controller, three years of navigation map updates, Bluetooth support, and USB audio ports. 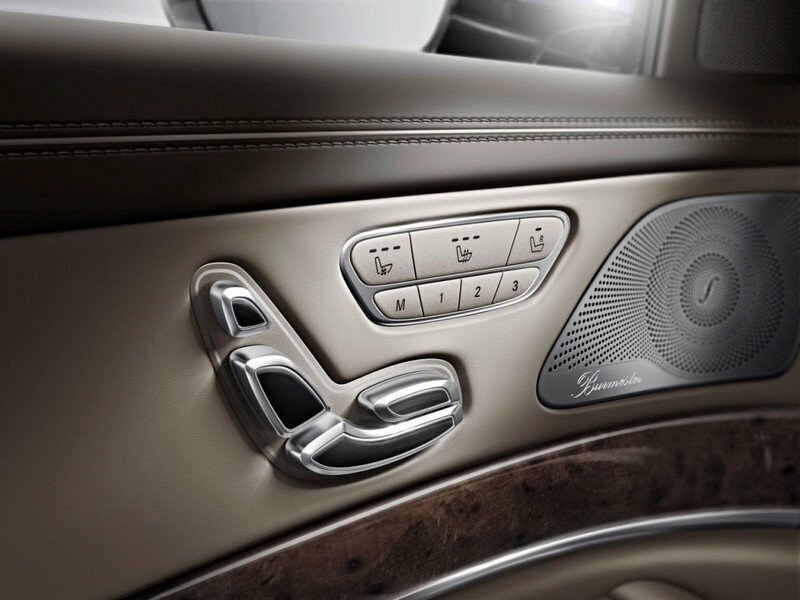 Options include a Burmester 3D sound system, Wi-Fi hot spot, and rear-seat screens. I love the fresh new design Lexus is bringing for the interior, and I think it really stands out in this segment. In terms of layout and design, the Mercedes is definitely a step up compared to the Audi. The curving swoopy dash is beset with round vents and minimal hard buttons, while the speakers are covered in a fine metal mesh that screams prestige. Up top, the infotainment screen is integrated with the dash, as opposed to sticking out the top of it like the in the Audi. 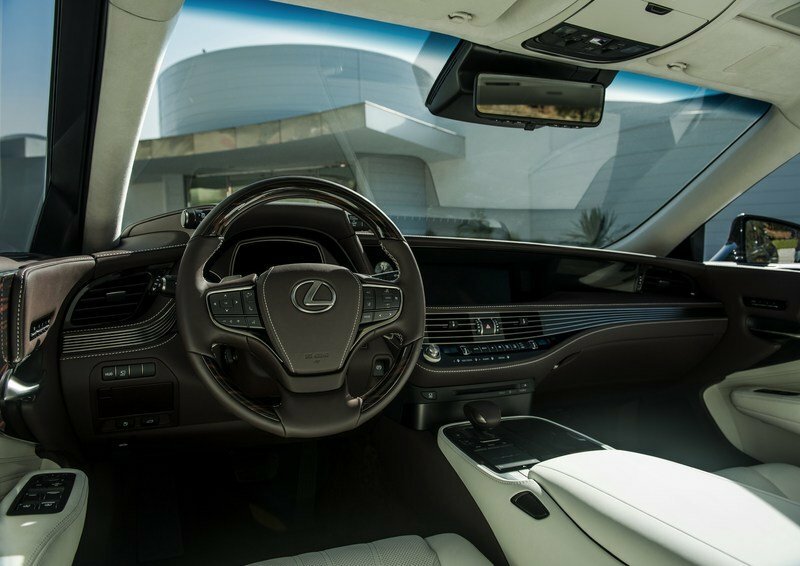 But if I had to choose one interior as the best of the three, I’d have to go with Lexus. I love the fresh new design – it really stands out in this segment, and unlike the exterior design, it just work for the interior. It’s got personality without drowning in superfluous extras, and the button layout just makes sense. Originally, we imagined the new LS would come equipped with a hydrogen fuel cell, reasoning that Toyota’s continued interest in the technology (the Mirai, for example), as well as the LS nameplate’s reputation for introducing ground-breaking, super advanced technology, would coalesce in something like a FCV. As it turns out, our prediction didn’t quite match up. 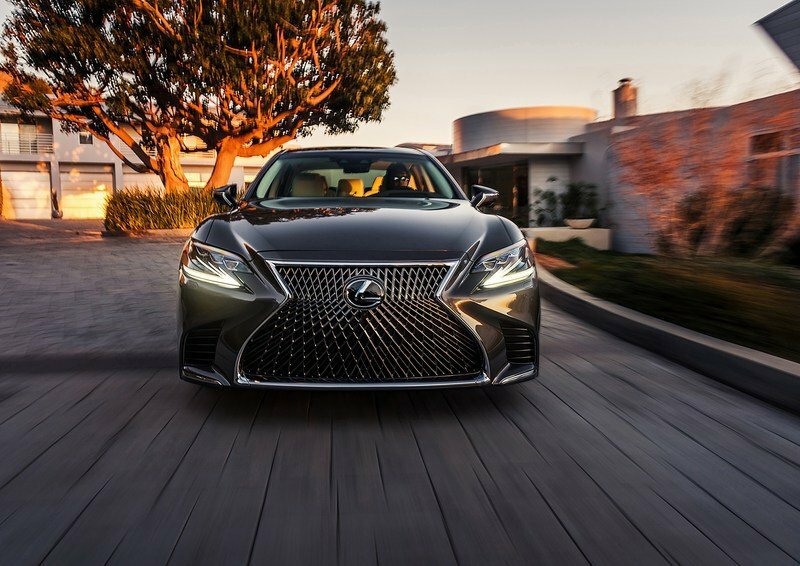 Rather than a fuel cell, the LS 500 is powered by regular ole’ dino juice, with a new 3.5-liter V-6 stuffed behind that enormous Spindle grille. The V-6 is a first for the nameplate, as all previous iterations came equipped with some form of a V-8 for motivation. In hindsight, a V-6 makes more sense than hydrogen, at least for the 2018 model year. While Toyota is arguably the most gung-ho about FCV technology, it’s not exactly super popular right now. The infrastructure to make it work isn’t there, and when it comes to a model as important as the 2018 LS 500, hydrogen is too big of a gamble. And that’s fine, because instead, we get a direct fuel injection, twin-turbo ICE that employs technology from Toyota’s Formula 1 program. This is a first for the nameplate, as all previous iterations came equipped with some form of a V-8 for motivation. The layout is a front-engine, RWD platform as standard. It’s highly likely Toyota will also offer AWD by the time this thing hits dealers, but for now, it’s just speculation. Look for that to change as the on-sale date approaches. Output is rated at 415 horsepower and 442 pound-feet of torque. For the sake of comparison, the old LS had as much as 386 horsepower and 367 pound-feet of torque. 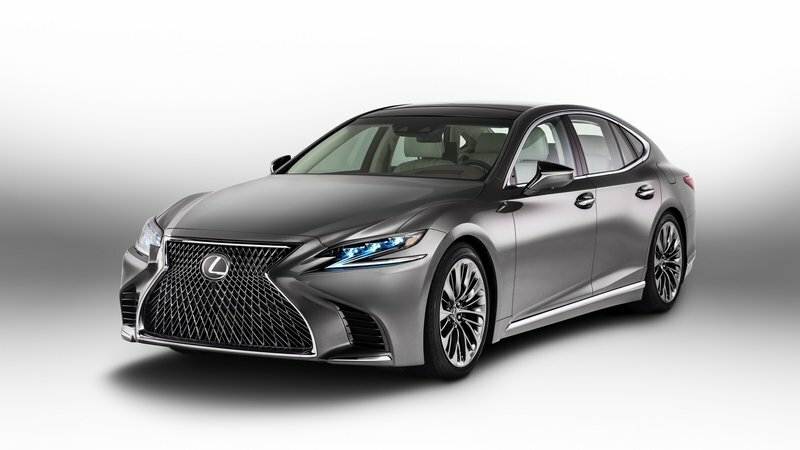 According to Lexus, features include “V-8-level power without sacrificing fuel economy,” plus minimal noise and vibration to keep folks comfortable in the cabin. Output is rated at 415 horsepower and 442 pound-feet of torque. For the sake of comparison, the old LS had as much as 386 horsepower and 367 pound-feet of torque, which equates to a gain of 29 ponies and a whopping 75 pound-feet when replacing two of the cylinders with turbos. And for those of you mourning the loss of yet another esteemed eight-cylinder powerplant – if the Ford GT can get away with it, Lexus is allowed to downsize too. If the Ford GT can get away with it, Lexus is allowed to downsize too. Moving on, Lexus says the six-cylinder offers a long stroke, an optimized stroke-to-bore ratio, and high-speed combustion for greater efficiency. The block uses a ladder frame structure, there are new engine mounts, and electronic wastegates. 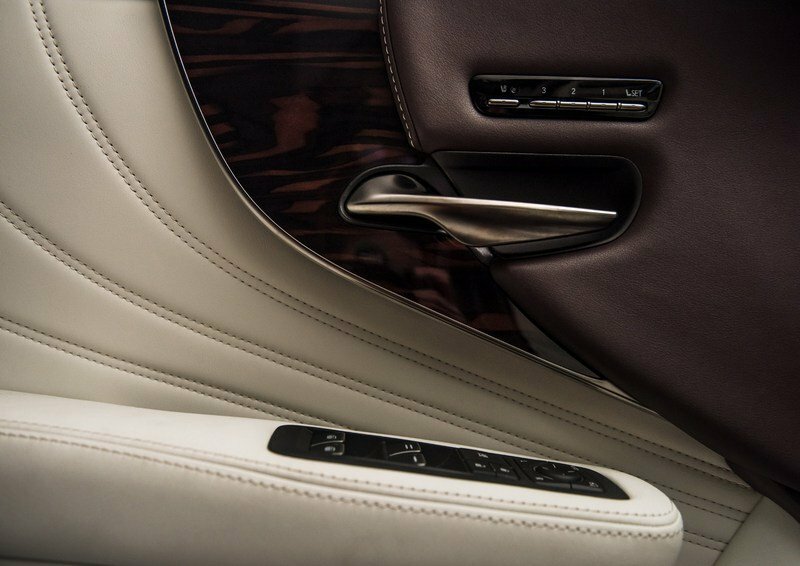 The name of the game is smoothness, with minimal vibration and noise to whoosh the LS’ passengers away in comfort. Multiple driving modes help define what’s needed, be it luxurious cruising, or sporty performance. More importantly, when applying that 415 horsepower at the rear wheels properly, you’ll get a 0-to-60 mph time of 4.5 seconds, which bests the outgoing model’s 5.4-second figure by almost a full second. Put your foot down and you’re looking at a 0-to-60 mph in 4.5 seconds. With that many gears on deck, you can bet the ratios are pretty close. Lexus will offer the LS with shift paddles for anyone who wants to tangle with 10 different gear selections, but the automaker also states “many will prefer the advanced electronic control system, which anticipates the driver’s input.” Basically, this fully automatic gearbox mode uses sensors for longitudinal acceleration and braking, plus lateral forces, and plugs them into some kind of equation to figure out which gear you should be in. Finally, it wouldn’t be terribly off the mark to expect Lexus to introduce a hybrid version sometime in the future. After all, Toyota is the same automaker that gave us the Prius, and with competitors like Mercedes offering up plug-in models like the S550e (twin-turbo 3.0-liter V-6 with a single electric motor), we think a similarly equipped LS is all but inevitable. 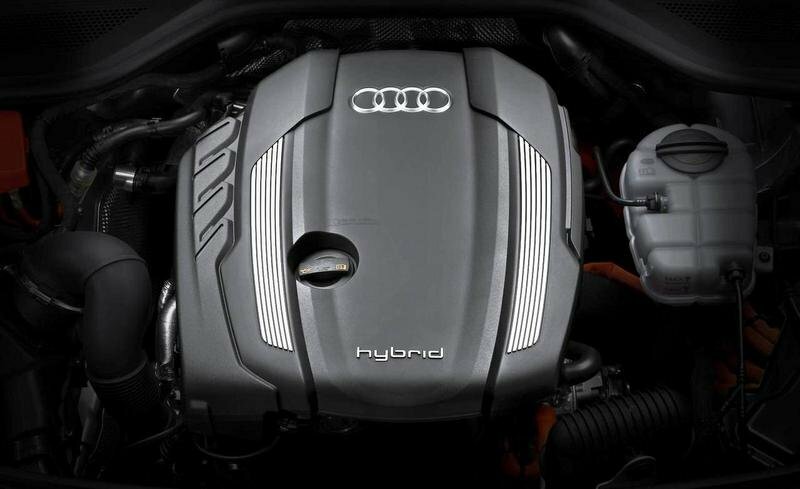 Depending on what you’re after, the A8 can be had with two different engine options. If you don’t really care about speed all that much, there’s the entry-level 3.0-liter TFSI six-cylinder. Made from all-aluminum alloy and packing 24 valves and a supercharger to force the issue, this lump creates 333 horsepower at 5,300 rpm and 325 pound-feet of torque at 2,900 rpm. Routed through the standard eight-speed Tiptornic automatic transmission and reaching the ground through the standard quattro AWD system, it’s enough muscle to propel to A8 to 60 mph in 5.5 seconds. Top speed is rated at 130 mph. While the burble and popping aural sensation of a V-8 powerplant is indeed a splendid thing to behold, I’m more impressed by the capability of Lexus’ new mill. That ain’t bad for a full size-luxury car, but if it’s not enough, there’s also the option for the upgraded 4.0-liter TFSI Sport. Making it go is an all-aluminum, 32-valve, turbocharged 4.0-liter V-8 producing 450 horsepower at 5,300 rpm and 44 pound-feet of torque at 1,500 rpm. 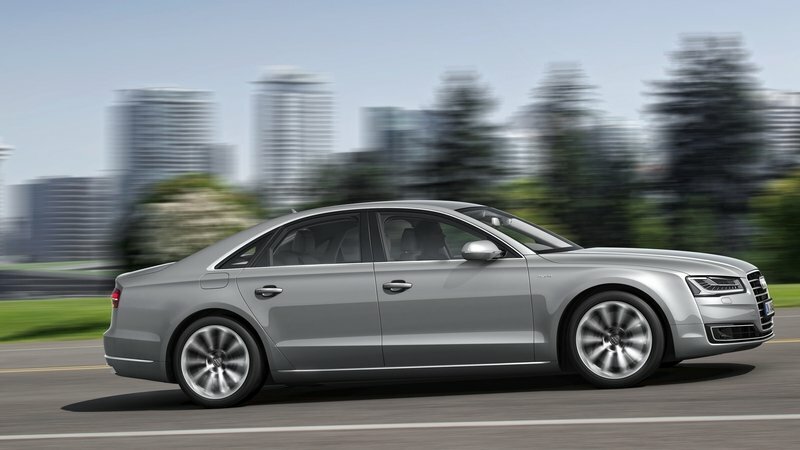 The transmission and drivetrain is once again an eight-speed auto box with quattro AWD as standard. Put your foot down, and you’ll see 60 mph in 4.4 seconds. Top speed is ¬once again rated at 130 mph. On to the Merc. Motivation in the S550 is derived from an all-aluminum 4.7-liter V-8 that’s boosted by two turbo to produce 449 horsepower at 5,250 rpm and 516 pound-feet of torque at 1,800 rpm. Routed to the rear axle through a 9G-Tronic nine-speed automatic transmission, it’s enough power to hit 60 mph in 4.8 seconds. Alternatively, you could replace the RWD with AWD in the S550 4Matic. 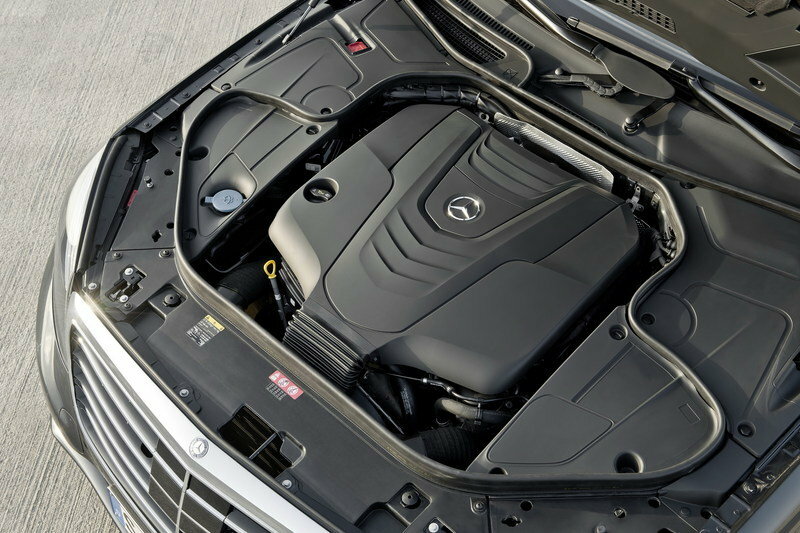 Even more output is possible with the 5.5-liter V-8 AMG S63, or the V-12-powered S600 and AMG S65, but prepare to pay a pretty penny for those models. While the burble and popping aural sensation of a V-8 powerplant is indeed a splendid thing to behold, I’m more impressed by the capability of Lexus’ new mill. Due to less displacement and fewer cylinders, it’s a bit down on peak output, but it still manages to beat the Mercedes in the 0-to-60 mph sprint, and frankly, that’s awesome. You also gotta consider the fact that engine noise is considered a bit of a nuisance in this segment, which more or less makes the whole V-8 soundtrack thing a bit of a moot point. The biggest issue is smoothness when you open up the taps. The real kicker will be in smoothness and power delivery, how it feels to open up the taps. Does the engine propel the vehicle in an even surge of power, like a wave of velocity, or does it shake and jerk and bounce? 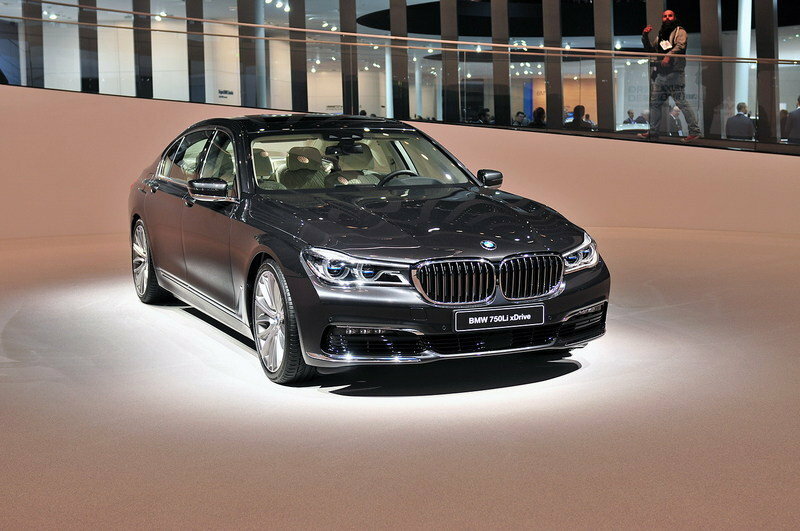 We’ll find out for sure when the new LS finally arrives in dealers. The new LS 500 seeks to strike a balance between comfort and athleticism, and while the scales should obviously tip towards the comfort side of things, both attributes require a good deal of chassis rigidity to work appropriately. With more rigidity, the LS 500’s suspension can more easily do its job of soaking up road irregularities, and thus, improve the ride quality and make the most of the grippy tires. 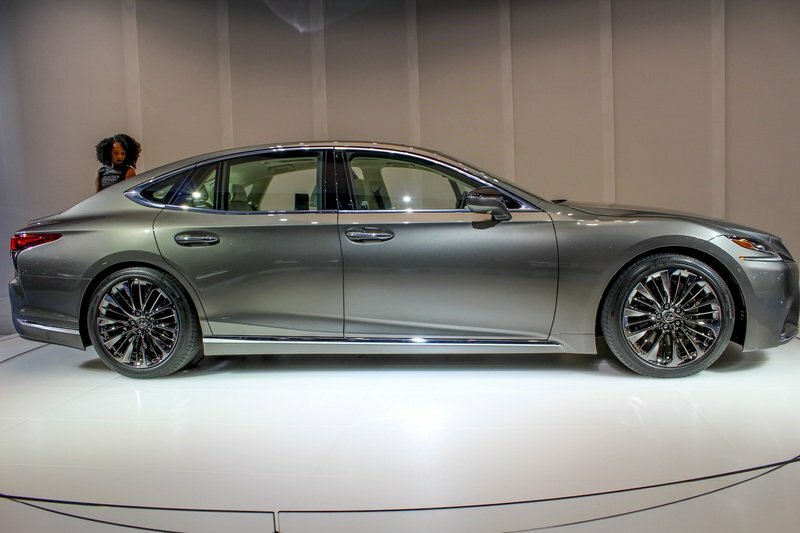 As such, the LS 500 utilizes Lexus’ new GA-L global architecture. Created specifically as a platform for premium, RWD-oriented offerings (GA-L stands for Global Architecture-Luxury, by the way), the LS 500 reportedly offers the stiffest underpinnings in the brand’s history. It’s essentially the same platform Lexus used to build its LC 500 coupe, albeit with an extended wheelbase. The whole thing measures in with a 123-inch wheelbase, which is 1.3-inches longer than the outgoing LS long-wheelbase model. 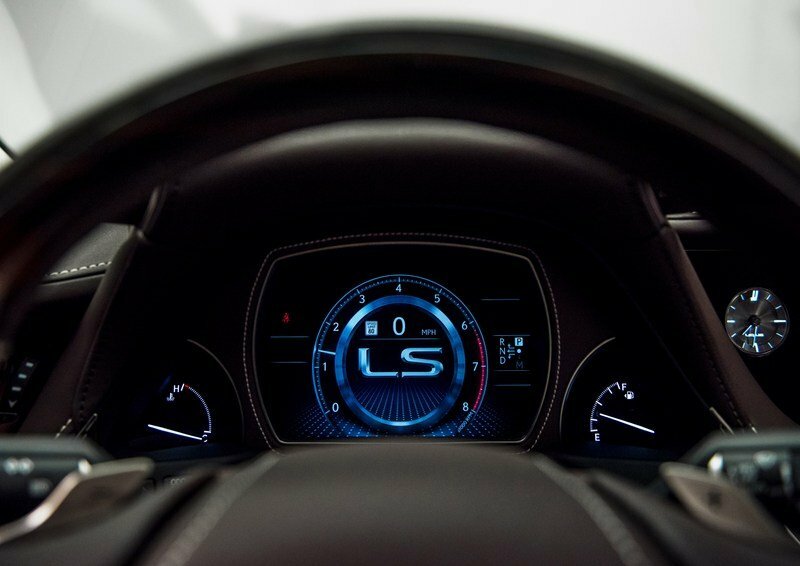 The LS 500 offers the stiffest underpinnings in the brand’s history, essentially the same platform Lexus used to build its LC 500 coupe. Materials used include copious ultra-high tensile strength steel, plus lots of aluminum. As a result, the overall curb weight was reduced by more than 200 pounds compared to the current LS. As a reference, the 2017 Lexus LS has a curb weight between 4,233 pounds and 4,695 pounds, depending on trim level. With the lighter, stiffer GA-L platform comes a lower center of gravity as well. Lexus achieved this by mounting the engine lower and further towards the cabin, while the passenger seating position is also lower and more central inside the car. Further rigidity comes courtesy of additional bracing within the engine compartment, plus aluminum bracing for the front and rear suspension towers. On the more high-tech side of the equation, Lexus added something called Vehicle Dynamics Integrated Management, or VDIM. This system ties together the brakes, steering components, powertrain, and suspension systems into a single cohesive electronic control unit. Lexus says the result is more comfort, better handling, and enhanced safety. VDIM ties together the brakes, steering components, powertrain, and suspension systems into a single cohesive electronic control unit. 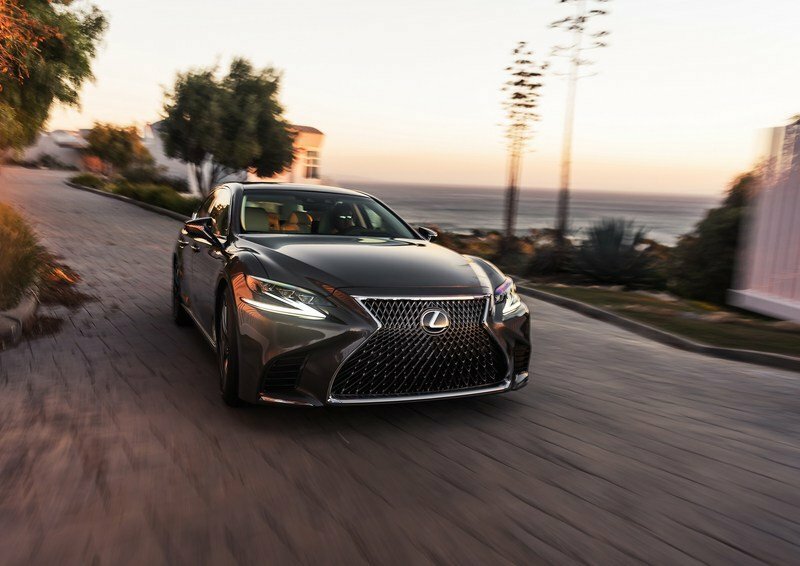 In pursuit of these goals, the LS 500 also uses active stabilizer bars to vary front and rear stiffness, as well as the Lexus Dynamic Handling System for independent front and rear steering. Now only do these aides help with low-traction surfaces, but they apply equally well on dry, high-traction pavement for better handling. Finally, it should be noted that the LS 500 is equipped with an independent multilink suspension system. Standout features include double ball joints on the upper and lower control arms, as well as extensive utilization of aluminum to help minimize unsprung weight. 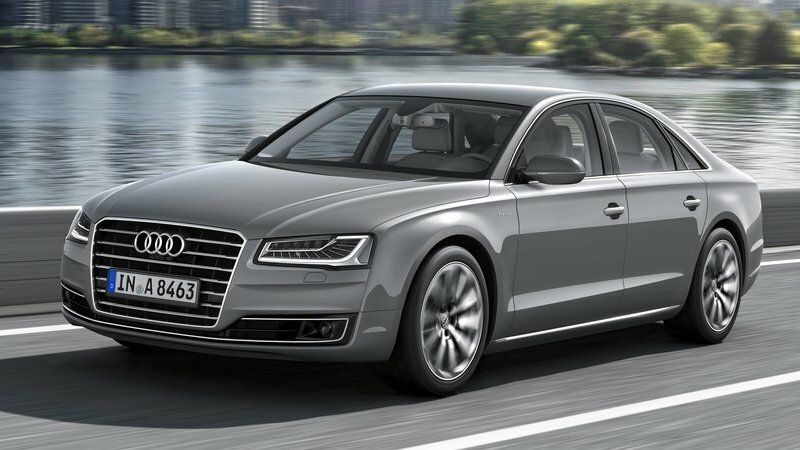 The Audi A8 also seeks to strike a balance to offer both comfort and a little performance, offering a nice lineup of standard and optional equipment to suit the buyer’s taste. It all starts with the lightweight construction, including the use of ASF aluminum to keep the girth at a minimum (the final curb weight comes in at 4,464 pounds). There’s standard quattro AWD grip and electromechanical power steering, but go for the $2,500 Dynamic package, and Audi will add a sport differential and dynamic steering for more performance attitude in the bends. There’s also multiple driving modes to choose from when sitting behind the wheel, including those for comfort, speed, and a personalized setting. Up front is a five-link suspension set-up, while in the rear is a trapezoidal-link set-up. Standard outfit includes adaptive air components for both the front and rear suspension. Stopping the A8 are 15-inch disc brakes in front and 14-inch disc brakes in the rear. Finally, if snow and mud are nowhere to be seen, Audi offers 20-inch summer tires at no additional charge. Undoubtedly, when it comes to the chassis and handling of vehicles in this segment, the number one most-important characteristic is how it rides. As for the Merc, it too utilizes lightweight construction to keep mass at a minimum, incorporating lots of aluminum and high-strength steel, not to mention some hybrid materials and even a little magnesium. All said and done, the car’s final curb weight comes in at 4,663 pounds. Managing the heft is an electronically controlled Airmatic semi-active suspension system, which gets features like automatic leveling to compensate onboard weight, and variable ride heights for either rough roads, or improved handling and aero. Adaptive dampers are also included, as are multiple driving modes. The steering is an electromechanical rack-and-pinion set-up. Torque vectoring brake comes as standard, applying friction to the inside rear wheel while cornering for crisper turn in and less understeer. There’s also optional Magic Body Control that can actively analyze the road ahead to optimize the ride comfort and handling characteristics. If a potential owner is looking to replace their driver and have a little fun behind the wheel themselves, the Audi is looking like the one to get. Undoubtedly, when it comes to the chassis and handling of vehicles in this segment, the number one most-important characteristic is how it rides. 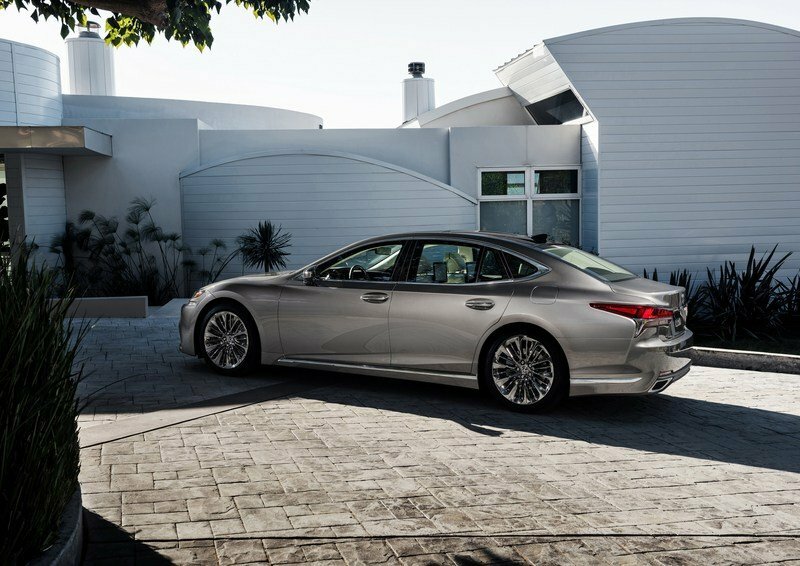 Comfort while on the move is critical in a full-size luxury sedan, so it’s recommended perspective buyers have a go in each of the options to find which is to their liking. However, in the off chance a potential owner is looking to replace their driver and have a little fun behind the wheel themselves, the Audi is looking like the one to get. The curb weight is pretty high, but optional equipment like a sporty differential, dynamic steering, and no-cost summer rubber puts it ahead when it comes to tackling an apex or two. We’ll have to wait and see if Lexus brings the same sort of sporty potential with the LS 500 when we get an official look at the options list. 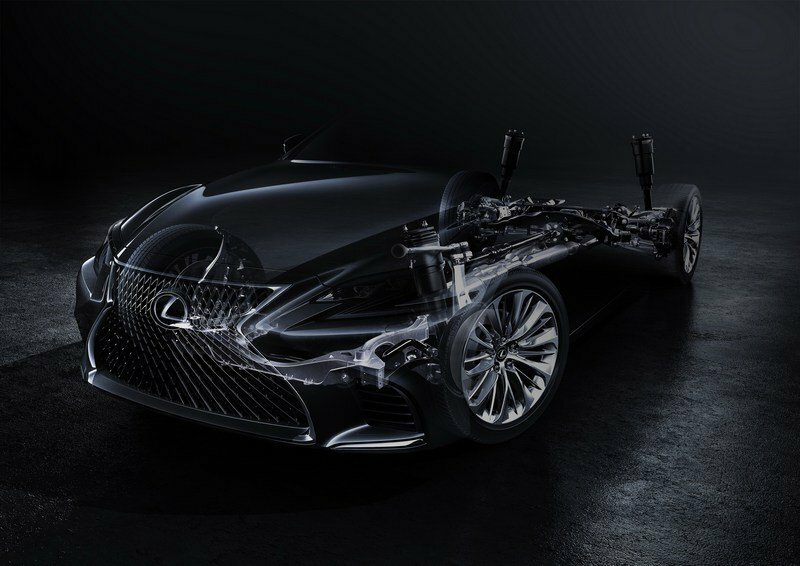 Lexus says the new LS offers high levels of passive safety thanks to a strong, impact-resistant structure. 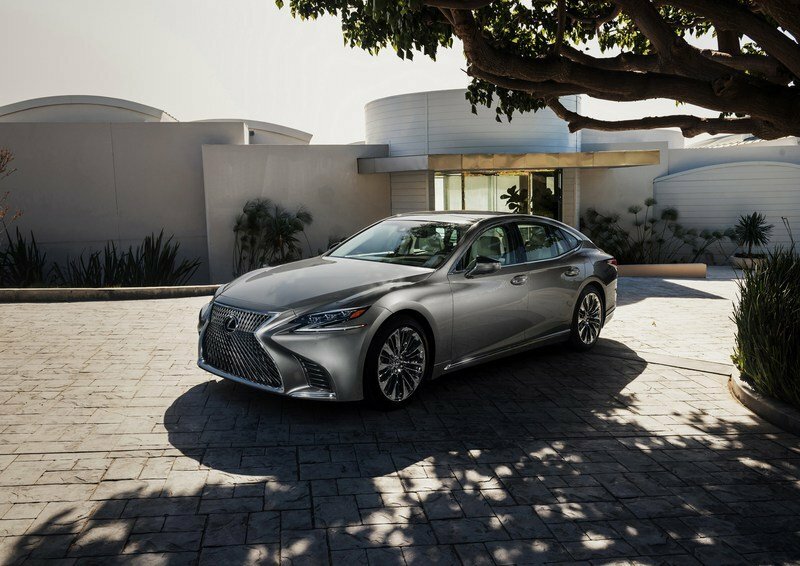 Technologically speaking, the LS also gets Lexus Safety System +, a suite of autonomous and semi-autonomous safety features. 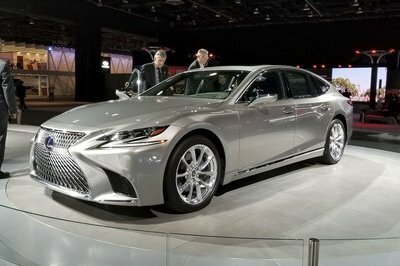 Lexus announced last year that LSS+ would be included as standard outfit on nearly all models across its range by the end of this year, and that’ll include the new LS. Specifics include automatic braking, lane departure warning, automatic high beams, and dynamic radar cruise control. If a pedestrian is detected ahead of the car and a collision is calculated to be imminent, the system will automatically apply the brakes and steer the car around the pedestrian while staying within the lane. With the arrival of the LS 500, Lexus also revealed its optional Advanced Safety Package. This complements LSS + with the brand’s first Intuitive Pedestrian Detection with Active Steering system. Essentially, if a pedestrian is detected ahead of the car and a collision is calculated to be imminent, the system will automatically apply the brakes and steer the car around the pedestrian while staying within the lane. And as if the car braking and turning on its own weren’t enough, the system will also notify the driver with a warning displayed through the color heads-up display. The National Highway Traffic Safety Administration (NHTSA) currently has no crash test ratings for any model year of the LS. 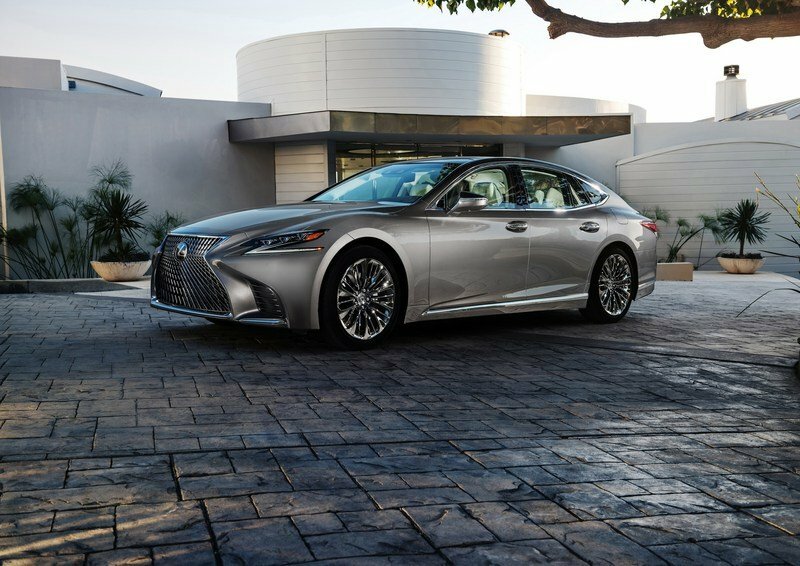 Meanwhile, the Insurance Institute for Highway Safety (IIHS) rated the 2017 Lexus LS with its top “Good” rating in both the Moderate Overlap Front and Head Restraints & Seats crashworthiness tests, while front crash prevention was rated as “Basic.” You can review these results by clicking here. 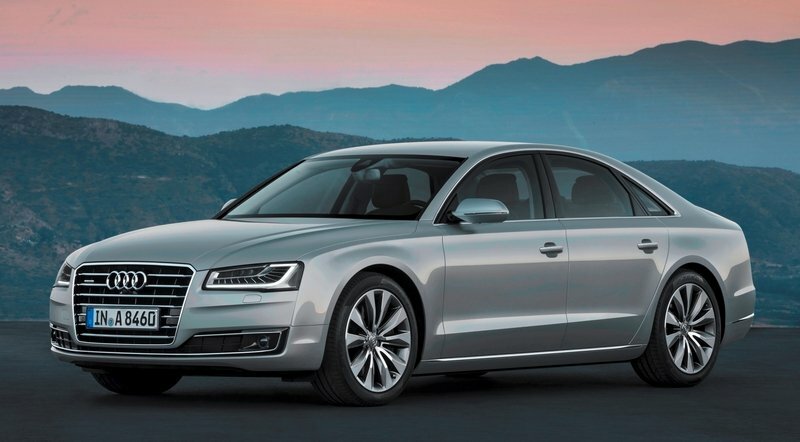 The Audi A8 comes with a ton of features, both standard and optional, to help it stay safe and convenient for its passengers. All models get something called parking system plus, which uses downward-facing and rear-facing optical cameras to provide the driver with a 360-degree view of the car’s surroundings. The various camera feeds are stitched together and displayed using the onboard infotainment screen, making it easier to maneuver the car in close quarters. There’s also a full airbag system, automatic windshield wipers, and automatic headlights equipped as standard. Available features include Audi pre sense plus and Audi side assist, both of which are designed to warn the driver about a possible collision. Further autonomous features include the available Audi adaptive cruise control, which will follow the car ahead at a pre-set distance, even stopping and starting again in heavy traffic conditions. All three of these features, plus automatic high-beam assist, are included in the Driver Assistance package, which adds an extra $2,250 to the bottom line. Further options include the Night vision assistant for en extra $2,300. 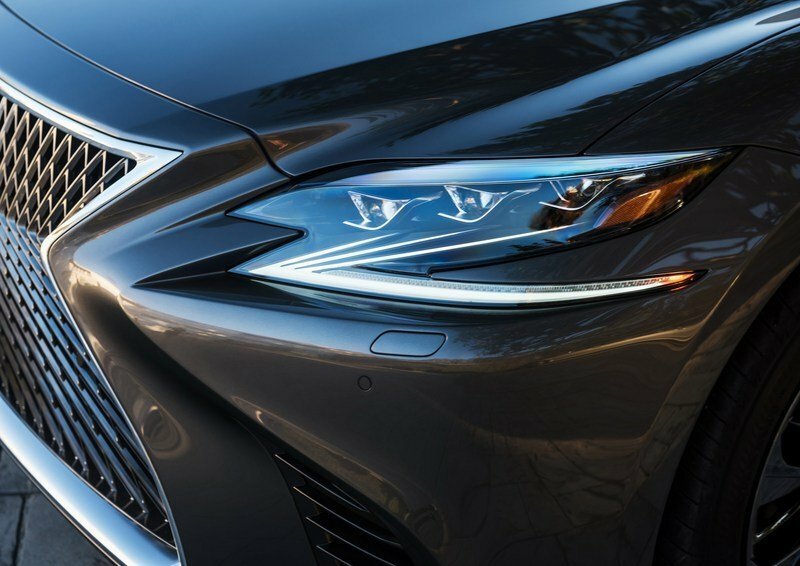 While all three vehicles offer a good deal of sophisticated technology in the area of safety and convenience, the Lexus stands out as the most advanced. 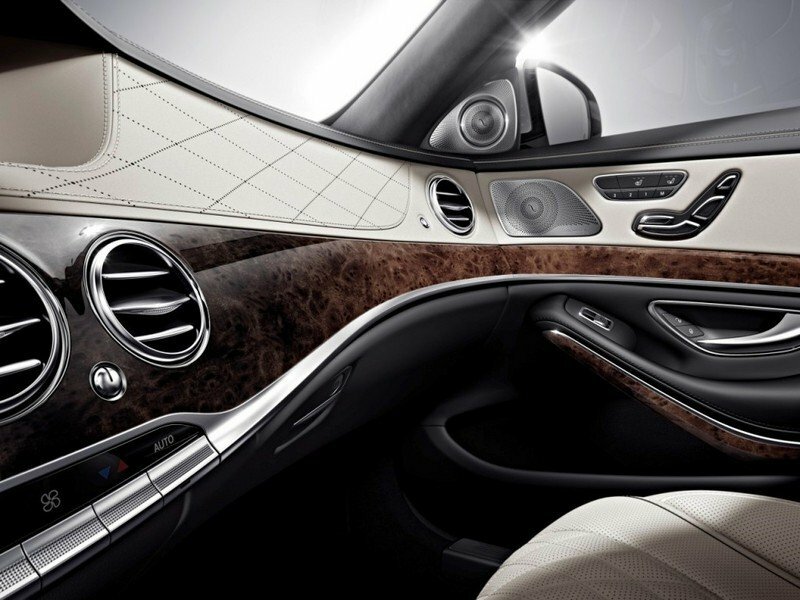 The Mercedes is equally well equipped, coming with a bevy of safety and convenience features. First up is standard Collision Prevention Assist Plus, which uses a radar system to detect stopped cars and potential obstacles and calculate whether or not an impact is imminent. The system will then alert the driver and apply full braking if necessary, up to speeds of 65 mph. There’s also attention assist, which can detect when the driver is either distracted or tired, and will issue an appropriate warning. Standard active headlights illuminate around corners and activate the high beams when needed, and shut off the high beams to prevent flashing other drivers. Crosswind assist is also standard, utilizing the stability control, steering, and suspension to help mitigate the effects of strong crosswinds. Predictive braking also moves the brake pads closer to the disc when it detects a possible hard braking scenario, and will also sweep water from the brake discs in the rain. Options include adaptive radar cruise control, steering assist, and a blind spot monitor. There’s also available cross traffic assist, which will use radar to detect cars and pedestrians, then automatically applying the brakes if a possible collision is detected. Night View Assist, Active Park assist, and around view cameras round out the options list. 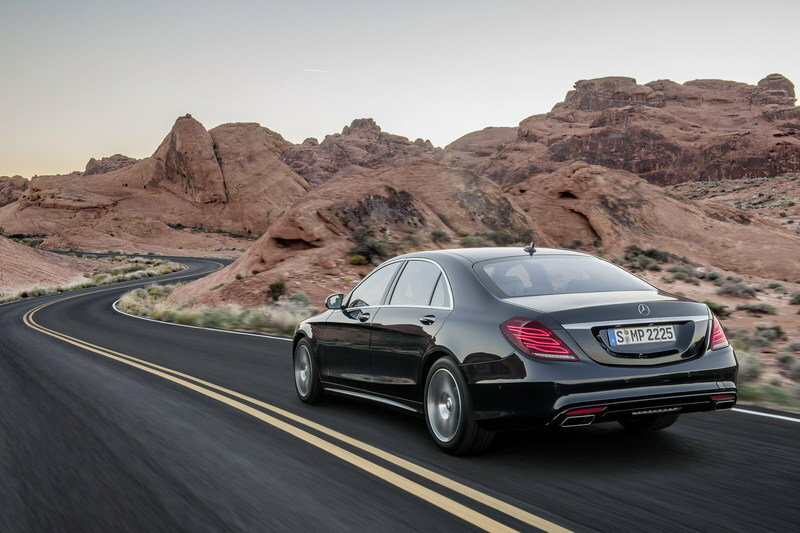 Like the Lexus LS, both the Audi A8 and Mercedes S-Class have yet to be rated by the NHTSA. Unfortunately, the IIHS has also not yet rated either the Audi or the Mercedes. 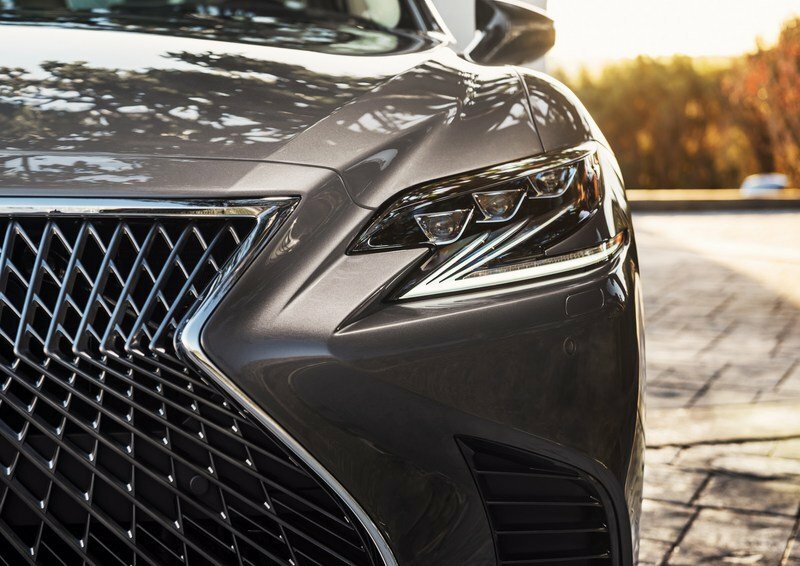 While all three vehicles offer a good deal of sophisticated technology in the area of safety and convenience, the Lexus stands out as the most advanced. Toyota has been working diligently to make its autonomous safety systems the cutting edge in the field, and you can bet the LS will be leading in this space when it arrives later this year. 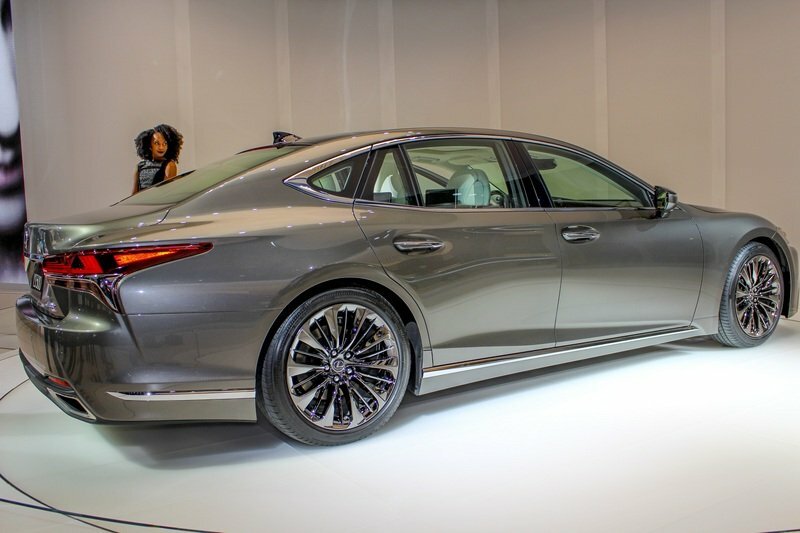 The new Lexus LS 500 retails from $75,000 in rear-wheel-drive configuration and from $78,220 with AWD. 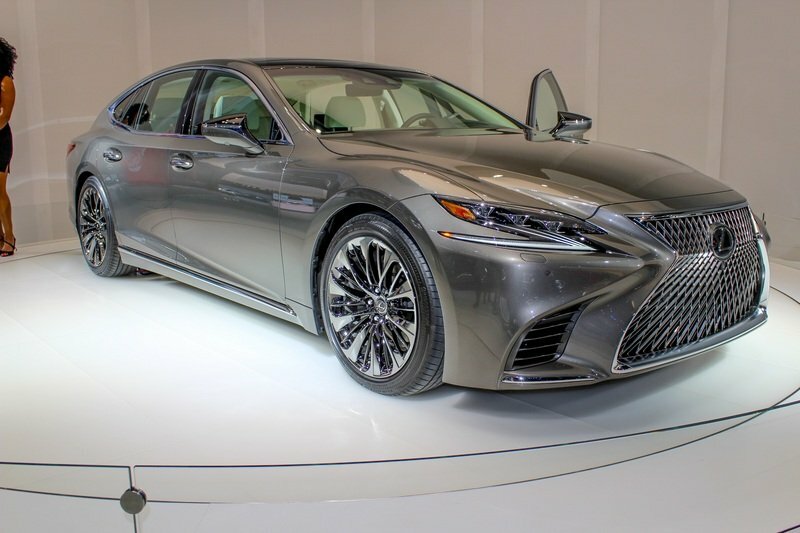 The outgoing model was offered for $72,520 before options, but the modest price increase seems fair considering the LS’ features and pricing of the competition. 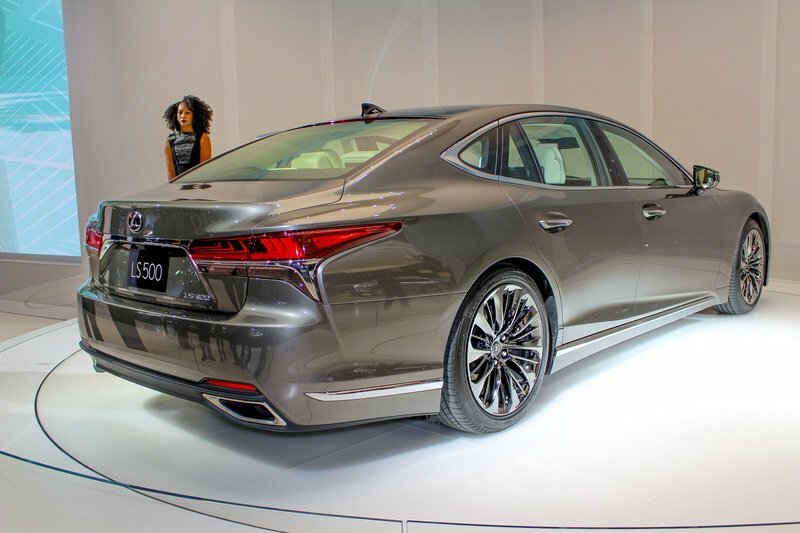 The hybrid LS 500h model starts from $79,510 and $82,730 with RWD and AWD, respectively. 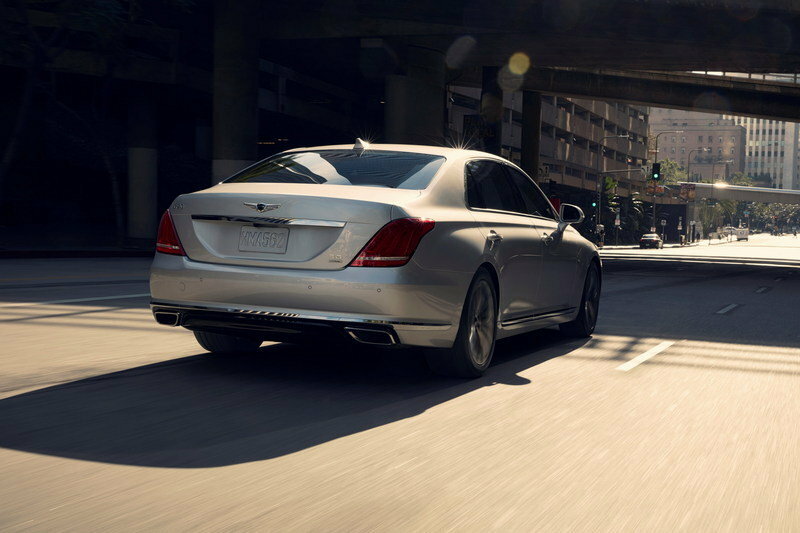 Finally, the range-topping LS 500 F Sport comes in at $81,000 with rear-wheel-drive and $84,220 with all-wheel-drive. The new LS 500 will be sold in 90 different markets around the world. Per tradition, the LS will continue to be assembled in Toyota’s flagship factory in Tahara. Toyota’s Tahara plant has had the honor of creating the LS since it was first introduced. In 1989, the factory developed new assembly techniques to more precisely manufacture the LS, and in 1989, it was the first auto factory to use laser welding on a widespread scale. 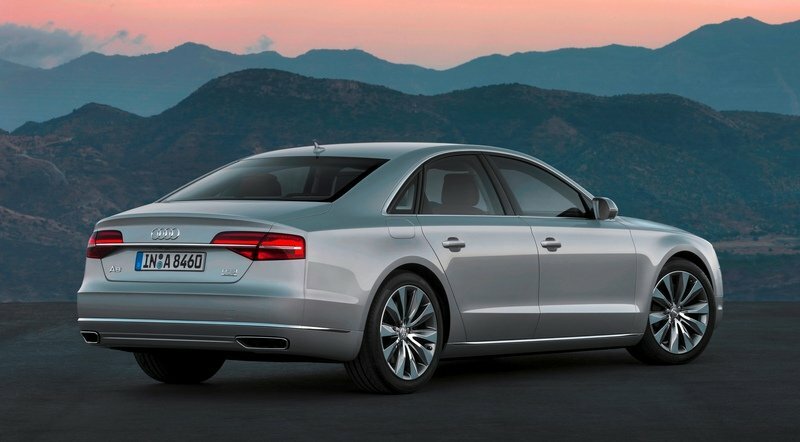 If the Audi A8 truly is the model for you, then expect to pay at least $82,500 for the 3.0-liter TFSI. Step up to the V-8, and you’ll need to fork over $91,500. Meanwhile, the S-Class starts at $96,600 for the RWD S550. 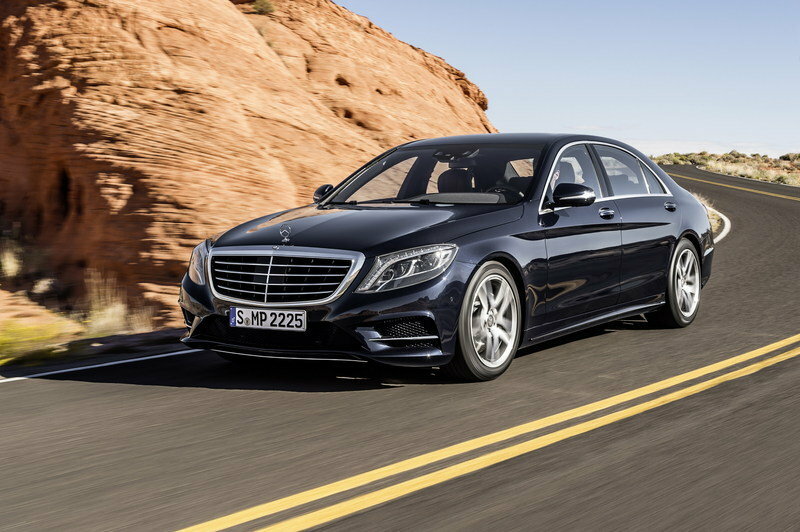 If you need AWD grip, then you’re gonna need the S550 4Matic for $99,600. 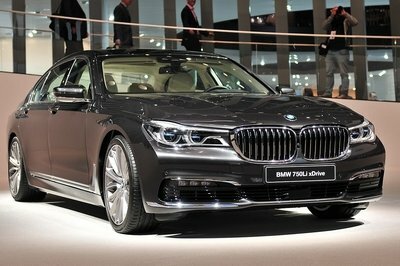 The Bavarians have their own take on what a luxury cruiser should be, and it’s called the 7 Series. Providing the power is one of four engine options, including a 3.0-liter inline six, a 2.0-liter hybrid four-cylinder, a 4.4-liter V-8, and a thundering turbocharged V-12. Standard air suspension keeps it floating over the potholes, while standard gesture control keeps it techy inside. 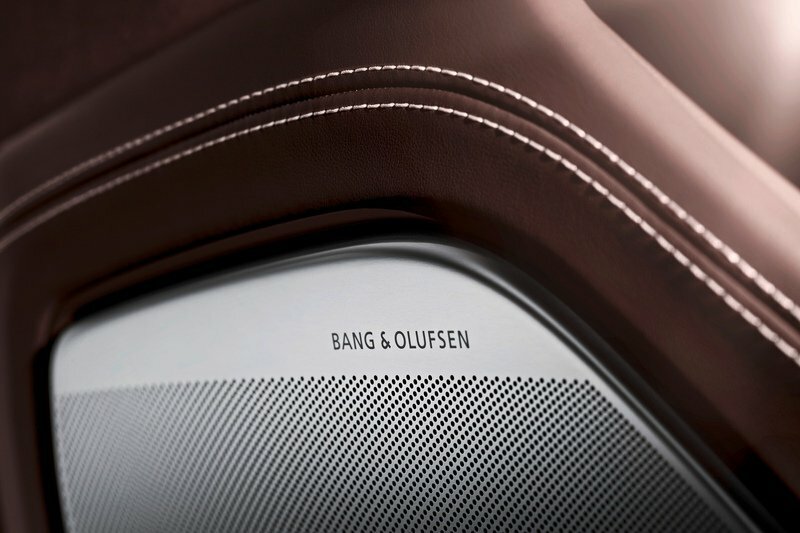 Premium seating and 16-speaker audio round it out. Pricing starts at $81,500. Fresh out the gates with a debut in 2015, the G90 is Genesis’ very first offering. 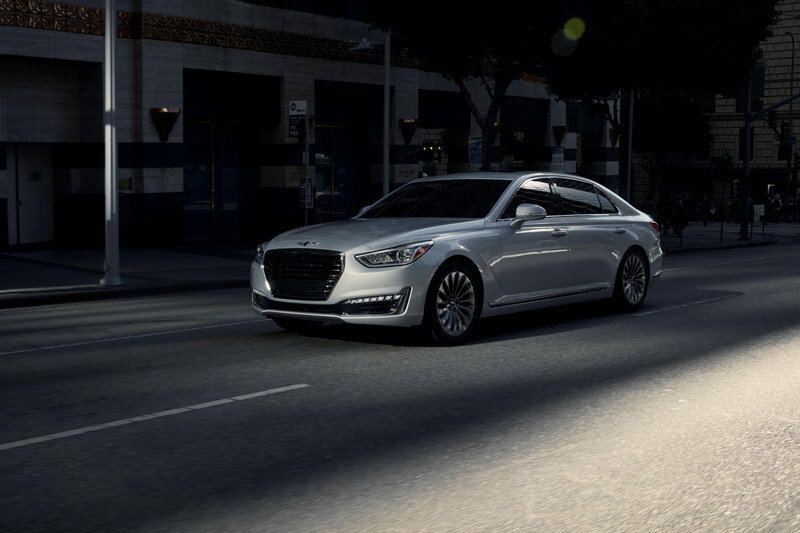 As the luxury arm of South Korean automaker Hyundai, Genesis is stepping up to the plate with an impressive first at bat. Two engine options are on the table, including a twin-turbo 3.3-liter V-6, which produces 365 horsepower and 376 pound-feet of torque, and a 5.0-liter V-8 making 420 horsepower and 383 pound-feet of torque. Standard appointment is RWD, but there’s also the option for AWD, while the gearbox selection is limited to an eight-speed automatic. The Smart Shift and Drive Control system will also analyze your driving and tweak various parameters to better suit your style. Pricing starts at $68,100. First off, I love that Lexus is doubling down on its Japanese heritage and roots. In fact, I’d argue it’s one of the most important characteristics to distinguish it from its rivals. The fact that it’s not German goes a long way in a segment that might be growing a bit stale with the same ‘ole Audi-BMW-Mercedes offerings, and I absolutely appreciate the approach. I have to mention that I was expecting a bit more from the LS in terms of technology. I’m not the biggest fan of the exterior styling, but the interior is absolutely gorgeous. I love all the little details, and it really looks good, even alongside the handsome (yet predictable) European alternatives. The engine sounds like it’s a joy to wind out, and the suspension and ride should have the goods to go head-to-head with the top of the segment. That said, I have to mention that I was expecting a bit more from the LS in terms of technology. That’s not to say it’s totally out of the Stone Age or something – quite the opposite. The safety systems, noise cancellation feature, and 24-inch heads-up display are all quite interesting and cool. But there’s nothing truly groundbreaking or novel on offer. It’s all the same stuff we’ve seen before in this segment. I would have been much more excited to see some kind of advanced hybrid system in play, or maybe even a hydrogen fuel cell, or ultra-advanced autonomous driving system. Simply put, there’s nothing truly groundbreaking or novel on offer. Perhaps Lexus is still working on something like that and waiting until we’re closer to launch to reveal it. Either way, the new LS still looks like a very tempting substitute for the usual Germanic sleds. Looking for even more tech please!